I don’t know about you, but I’ve got some pretty bad & then some pretty good cds playing constantly in my head about who I am. They are my voices within. 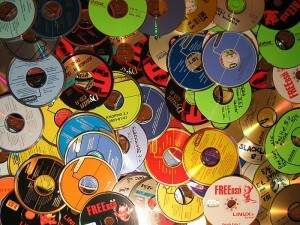 Most of the time, if I just lay back & listen to them they are not Gospel-driven cds. But, if I make a determined, active decision to choose the right cds, I find I am neither building myself up or tearing myself down, but resting in who God says I am in Jesus Christ. What freedom!! True humility is thinking about myself according to how God thinks of me—-not less or more based on my performance. 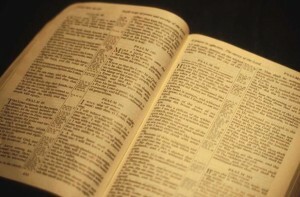 Who God says I am: It’s a wonderful list…just read one a day and chew on it!! Wow, how powerful!! • I am a child of God. But to all who have received him–those who believe in his name–he has given the right to become God’s children … (John 1:12). • I am not condemned by God. There is therefore now no condemnation for those who are in Christ Jesus (Romans 8:1). • I am a new creature in Christ. So then, if anyone is in Christ, he is a new creation; what is old has passed away–look, what is new has come (2 Corinthians 5:17)! • I have become the righteousness of God in Christ. God made the one who did not know sin to be sin for us, so that in him we would become the righteousness of God (2 Corinthians 5:21). • I have been set free in Christ. For freedom Christ has set us free. Stand firm, then, and do not be subject again to the yoke of slavery (Galatians 5:1). • I have been blessed with every spiritual blessing in the heavenly places. Blessed is the God and Father of our Lord Jesus Christ, who has blessed us with every spiritual blessing in the heavenly realms in Christ (Ephesians 1:3). • I am chosen, holy, and blameless before God. For he chose us in Christ before the foundation of the world that we may be holy and unblemished in his sight in love (Ephesians 1:4). • I am seated in the heavenly places with Christ. … And he raised us up with him and seated us with him in the heavenly realms in Christ Jesus … (Ephesians 2:6). • I am God’s workmanship created to produce good works. For we are his workmanship, having been created in Christ Jesus for good works that God prepared beforehand so we may do them (Ephesians 2:10). • The peace of God guards my heart and mind. And the peace of God that surpasses all understanding will guard your hearts and minds in Christ Jesus (Philippians 4:7). • God supplies all my needs. And my God will supply your every need according to his glorious riches in Christ Jesus (Philippians 4:19). • My life is hidden with Christ in God. … For you have died and your life is hidden with Christ in God (Colossians 3:3).